Do you know how the cosmetics of the future will look like? If not, read the text below and you find out how we will take care of our beauty in several dozen of years. Also, meet gadgets and accessories, which will make the task much easier. You do not buy cosmetics only for them to beautify you. 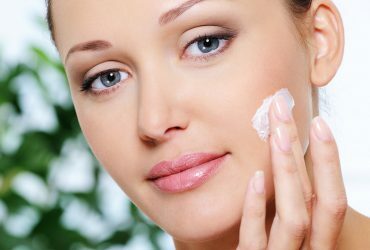 Those products have to fulfil certain tasks, like elimination of wrinkles, lightening of discolourations or help you in taking care of skin health. One of those products are lipsticks and lip glosses. Not only highlight lips, but additionally smoother, moisturise and nourish. Skin of lips is healthier and younger and make-up more beautiful. In cosmetics of this type important role have ingredients. In products for conditioning and lip make-up you can find, among many: vitamin E, collagen, beeswax and vegetable oils. Changes in cosmetology and in aesthetic medicine went even further, and in the future will be possible DNA stimulation to turn back the clock or prevent skin damages. 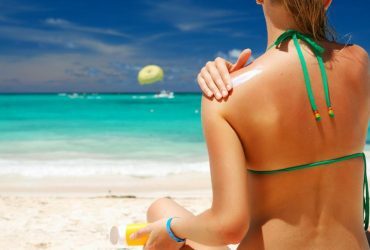 Reportedly, there are already conducted research for special enzyme, which is expected to regenerate skin and protect it against damages caused by sun. This ingredient will as well help in reducing puffiness, discolourations and wrinkles. Even now, you use cosmetics, which are matched with your skin needs. In the future, this trend will develop immensely. Beauty apps on phone are more and more willingly used. Those help you choose colour of eye shadow, type of hair for occasion, but most of all help you save time and money. There are already available apps, which show you where is the nearest beauty parlour or book you a visit with a beautician. Mobile phones have also other tools for improvement of appearance, like mirror or camera. Thanks to the second thing you can even slim down your face, remove acne and discolourations or make your eyes bigger. Sonic brushes can be found among cosmetic equipment of every girl. Those cleanse, massage and exfoliate face. Thanks to built-in panel you can change speed, frequency of vibration and other parameters, which will make beauty routine simpler. Sonic brushes are used for skin care of both face and body. All you need to do is switch the cleansing attachment and choose right cosmetic. Inventions from the future are slowly entering your bathroom. 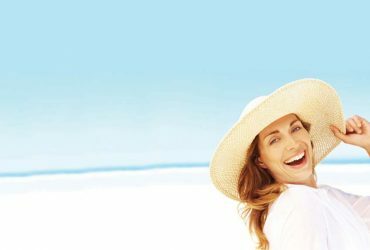 How should you take care of skin in the spring-summer season? Summer must-have of every woman- what cosmetics you shoud use in the summer?